Russian communications satellite. 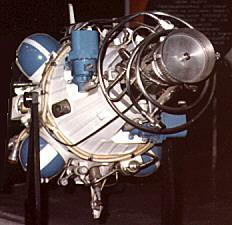 Molniya-2 was the elliptical orbit component of the Soviet YeSSS communications satellite system. Communication satellite built by NPO Prikladnoi Mekhaniki (NPO PM), Russia. Launched 1971 - 1977. Used KAUR-2 bus. AKA: 11F628;Molniya-1M. Status: Operational 1971. First Launch: 1971-11-24. Last Launch: 2005-06-21. Number: 20 . Gross mass: 1,600 kg (3,500 lb). Height: 4.40 m (14.40 ft). Span: 8.20 m (26.90 ft). Flight tests began in 1971, and it had a brief operational career in 1974-1977 before being succeeded in the YeSSS network by the Molniya-3. It had originally been foreseen that the Molniya-1 was only for use in experiments in long-distance communications. Therefore a decree on 31 October 1961 authorized work on the Molniya-1M production model, providing international communications on the centimeter band. But actually Molniya-1 worked so well that it was taken directly into service, and the -1M was skipped. Using the common KAUR-2 bus and engineering work done on the -1M, the -2 version was defined. The draft project was completed in 1965 and a decree of 24 October 1968 authorized its development for strategic communications under the code name Kristal. 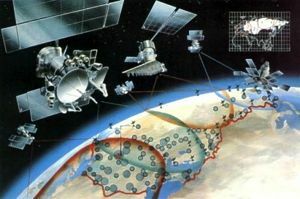 The requirement was for a universal satellite to provide services to many users - the so-called Unified System of Satellite Communications (YeSSS). On 5 April 1972 the YeSSS was defined as the Molniya-2 in elliptical orbit and Raduga (Statsionar) in geosynchronous orbit. The YeSSS radio rebroadcast system was developed by MNIIRS Minradioprom, followed by Minpromsvyaz (M R Kaplanov) and KBPM Minobshchemash (M F Reshetnev - Reshetnev's bureau had been spun off from Korolev's Filial 2 in the 1960's. It specialized in communications, television, navigation, and geodetic satellites). Development of Molniya-2 was dogged by the issue of what on-board radio equipment to use. The final version used the retransmitter Segment-2, A G Orlov General Designer. The previous LBV Shunt traveling wave tube was initially to be used, but the final technical solution was an unpressurised satellite and a new type had to be found. Finally the LBV Shunt TWT was only applied to Ekran, where it was used in place of a cascading klystron TWT. Flight trials of the Molniya-2 were conducted in 1971-1974. Major General N F Shlikov was in charge of the state trials commission, and took a methodical approach to achieving reliability. For example, three trials launches took place at short (2 to 4 month) intervals. Chief Designer was Gregori Markelovich Chrenyavskiy. But he was also a Soviet Minister. The motto 'never test for operations a system that you've developed' was followed. Operational flights came in 1974-1977. Molniya-2, like Molniya-1, consisted of four pairs of spacecraft with orbits at ninety degrees to one another. A total of 19 flights were made. Molniya-2 was used in the Orbita television system and also for the military Korund communications system. New ground segment components included systems by Chief designer at MNIIRS MPSS, M R Kaplanov, for the communication systems from military units to the center, and the on-board retransmitter. The ground control system was by Ryazanskiy, based on a modernized KIS Saturn. The control system at the center was by NIIT MOM (O N Shishkin). Family: Communications, Molniya orbit. Country: Russia. Engines: KDU-414. Launch Vehicles: R-7, Molniya 8K78M. Projects: Molniya. Launch Sites: Plesetsk, Plesetsk LC43/4, Plesetsk LC43/3, Plesetsk LC16/2. Agency: MOM, Reshetnev bureau. Bibliography: 2, 445, 474, 6, 64, 65, 12852. 1968 October 24 - . Molniya-2 satellite authorised. - . Nation: Russia. Spacecraft Bus: KAUR-2. 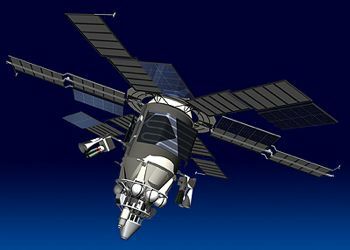 Spacecraft: Molniya-2. Central Committee of the Communist Party and Council of Soviet Ministers Decree 'On establishment of the Kristall communications system based on Molniya-2 satellites' was issued. Kristall would be used for strategic communications..
1972 April 5 - . Unified System of Satellite Communications (YeSSS) - . Nation: Russia. Spacecraft: Ekran, Molniya-2, Raduga. Central Committee of the Communist Party and Council of Soviet Ministers Decree 'On use of Molniya and Ekran for a unified satellite communications system' was issued. The YeSSS was defined as the Molniya-2 in elliptical orbit and Raduga (Statsionar) in geosynchronous orbit. 2005 June 21 - . 00:49 GMT - . Launch Site: Plesetsk. Launch Complex: Plesetsk LC16/2. LV Family: R-7. Launch Vehicle: Molniya 8K78M. FAILURE: Failure - Third stage propulsion. Failed Stage: 3. Molniya 3K - . Payload: 11F637. Mass: 1,750 kg (3,850 lb). Nation: Russia. Agency: VKS. Manufacturer: Reshetnev bureau. Class: Communications. Type: Military communications satellite. Spacecraft Bus: KAUR-2. Spacecraft: Molniya-2. Delayed from May 25.